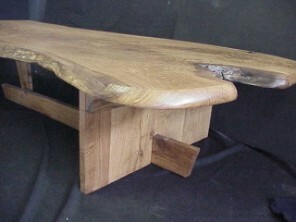 Inverted, flat cut & hollow, stump table. This flat cut piece, was struck by lightening about 8 years ago which in turn, caused it's demise. The fire from the lightening strike assisted in hollowing the tree and eventually it had to be cut down. It has created a beautiful piece. The detail wood graining on its side and within the hollow is beautiful ! Scroll down page for more. Sorry, this table is now SOLD. It's new home; North Carolina. 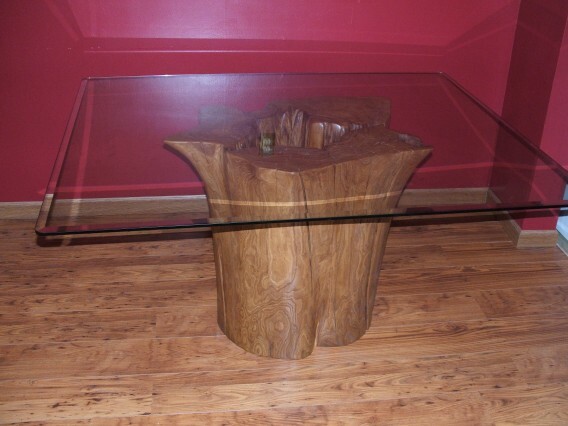 If you would like different shape or size of glass top, let us know. 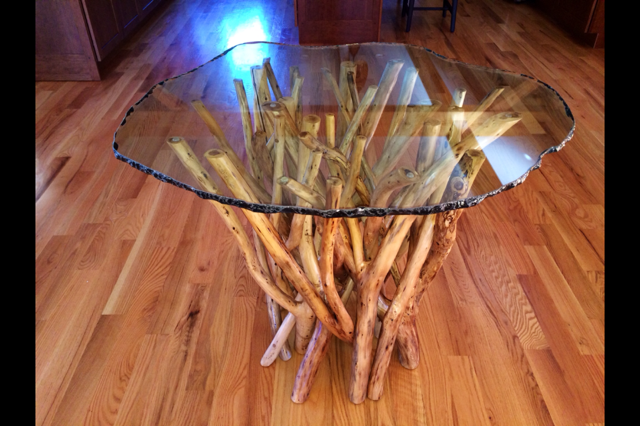 This piece would work well with a round top: 48 inches in diameter up to about 55 inches. 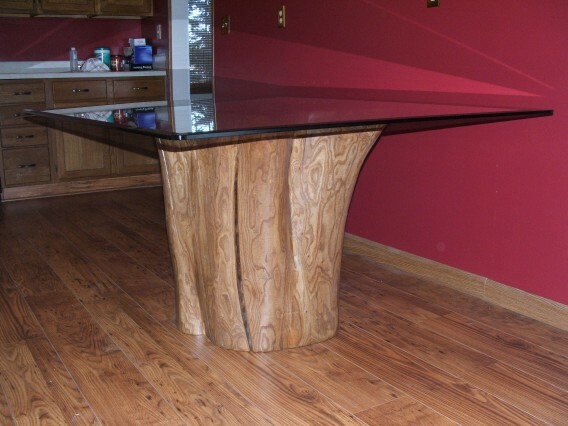 It would also look nice with an oval glass top..
Dimensions: the hollow stump base ( not glass) measures 30 inches long and about 23 inches wide. Diagonally across the top, about 32 inches and stands 30 inches tall. 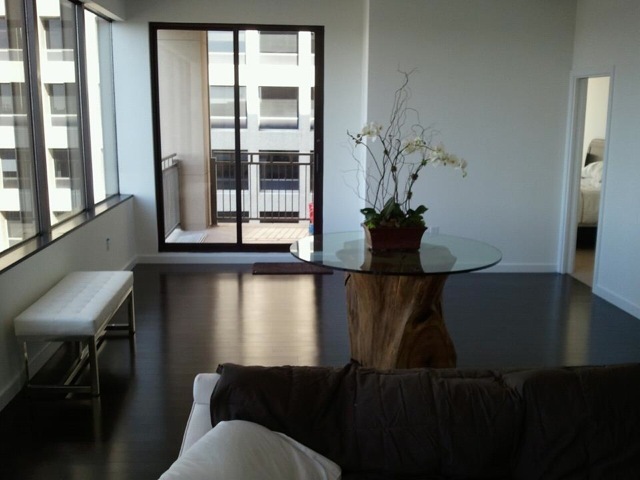 Refer to " Flat cut hollow stump table ". I just received this photo from a client in Dallas. 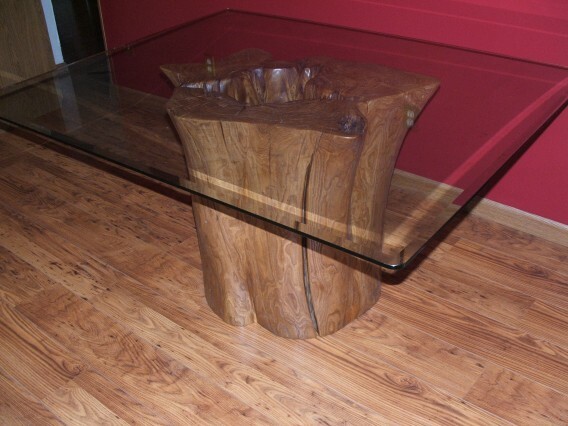 Another flat cut stump table. Wow, looks nice. He is awaiting the chairs..